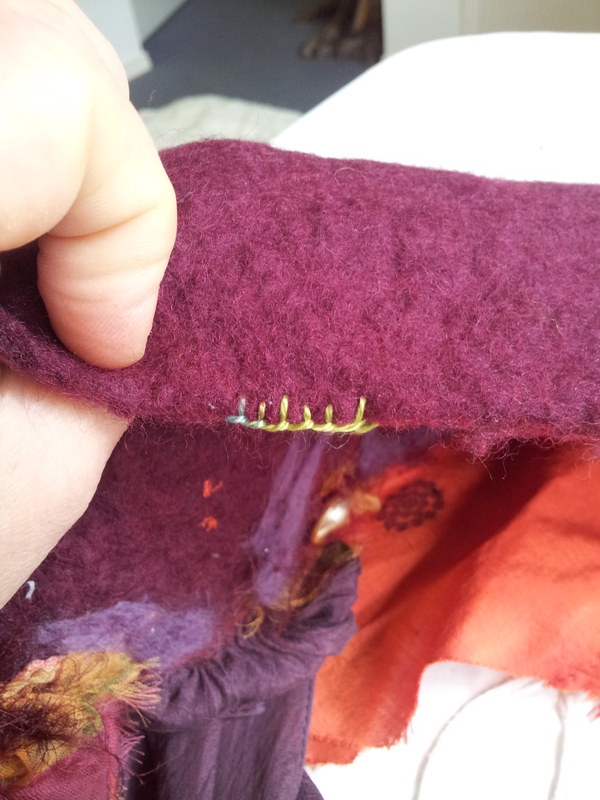 Back of felt showing blanket stitch, but no knots or other thread visible. I’m adding this tutorial after having a conversation with a fellow felter who wondered how to blanket stitch around a whole piece of felt without using knots to secure the thread at the start of embroidering, or join shorter pieces of thread along the way. This is a technique I ‘discovered’ (necessity being the mother of invention and I don’t like to see knots either). Instead of using knots, you thread the needle about 1.5cm through the felt along the edge that you haven’t embroidered yet. Then you blanket stitch along the edge, and you will also be stitching over the thread, keeping it very secure so it won’t come undone. It is also invisible, it works well and has no knots showing on the reverse side of the fabric. 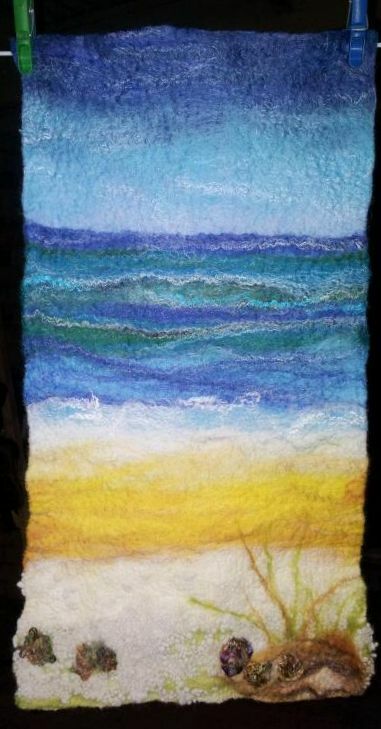 This is something that can be done with a piece felt, as the material is thick enough to thread the cotton through without it being seen on either the front or the back of the piece. Here are some photos to better explain what I’ve just said. By the way, I’m left-handed and sew from left to right.